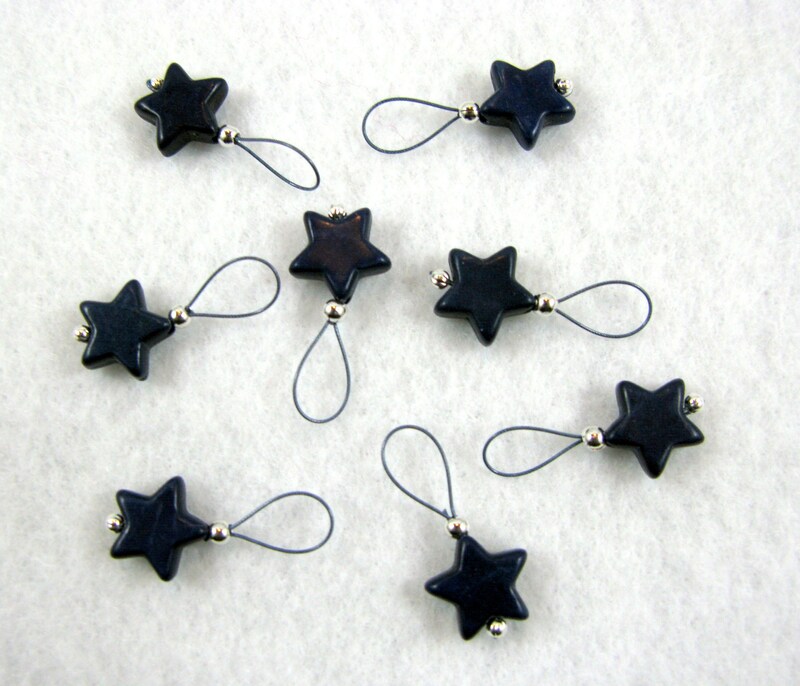 This set of 8 uses our snag free Soft Loop construction and are fitted with 10mm howlite dark cobalt blue stars mounted on stormy blue colored wire. Size: Large (fits US 10 and smaller). These are great and combined beautifully with my other markers! I love the flexibility of the loop style.